…a distributed squad or tribe who receive a lot of requests for specific services. A timely and proper response to the requestor shows respect, manages expectations properly, and secures clear communication. The Bun protocol (‘Bullprotokollet’ in Swedish) is a lightweight, decentralized request routing protocol. It is designed to be the simplest possible way to handle requests that are shared by a distributed group of people. 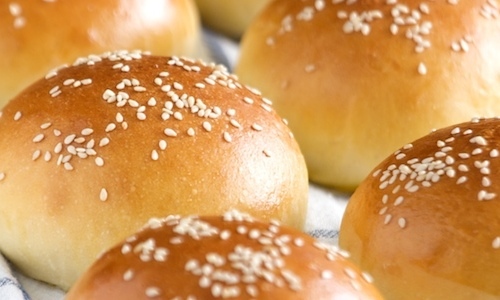 When a bun (= issue or request) comes in, it is warm, juicy, and soft. If it sits around for a day it will get cold. If it sits around several days it will become dry and hard. You can warm up an old bun in the microwave oven as long as it hasn’t become too dry. So, a bun should be eaten fairly quickly or thrown away. No use stuffing it in a box. If you can’t eat it yourself, offer it to someone else—before it gets cold, dry and hard! You get an email, saying, “Hi, we want a TDD course at company X. What will it cost and when can you come?”. Now you have a bun! You meet someone at conference who says, “I want to join your company!” Now you have a bun! Is born when someone asks you for something and you decide that, “Hey, this is a bun.” Often, buns arrive in your e-mail box and appear when someone calls or approaches you directly. This is the only moment that a bun is ‘pushed’ on you. Still, you decide if something is a bun. You can always just say no. Always has an bun owner—the person who received the bun. Or. more specifically, the person responsible for the communication channel through which the bun appeared. Must be taken care of it before it gets too dry! That is, a bun is best on the same day, and already loses taste on the second. reheated—keep the bun warm by talking to the requestor, e.g. to say that you are searching for someone who can help. finding a volunteer bun owner who takes the bun over by explicitly saying “I will take the bun.” Note that a bun transfer is always a pull action and never a push action. Broadcast the bun to everybody who might be interested in, affected by, or involved in this bun. Find a bun owner at the next level up—for example, you manager or the sales lead—if it is a strategic bun, based on risk carrier decides. It is sometimes tough to succeed in following these rules, especially the 1–2 day age limit. However, really try your best, and at least be aware of when you fail and learn from it. Secure an owner of the request at all times. Allow others to pull the request with the bun owner’s consent. Follow-up within two days. This page was last edited on 14 November 2015, at 15:39.